For most 3D printing needs, the standard PLA and ABS filaments are reliable enough in terms of product quality and workability. However, there may be very specific needs that will require an alternative 3D printing filament material. One such alternative is TPU, or ThermoPlastic Polyurethane. 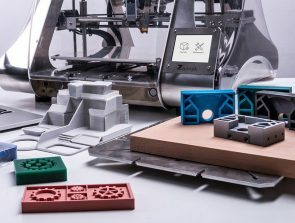 In this article, we discuss the unique characteristics of TPU filaments, their applications, how to work with them, and the best brands currently available in the market. 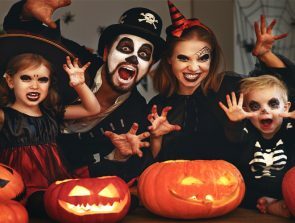 To better understand ThermoPlastic Polyurethane (TPU) and its usability, it may be worthwhile to look at its functional ancestor – ThermoPlastic Elastomer (TPE). Until a few years ago, TPE was the material of choice when printing flexible materials. TPE is essentially a plastic with rubber-like characteristics. It can be stretched up to twice its original length and revert to its original form without permanent deformation. However, the softness of the TPE filament made it difficult to work with. With a shore hardness of only 85A, TPE filaments had a tendency to be handled poorly by extruders that were not designed for flexible filaments. TPU is the newer and firmer variant of TPE. By combining both low polarity segments (or soft segments) and high polarity segments (or hard segments) into a single polymer chain, TPU delivers a better combination of elasticity, rigidity, and flexibility. The resulting product has a slightly higher shore hardness of 94A, making it easier for the 3D printing extruder mechanism to handle. What are the benefits to using TPU? TPU is a product that delivers a set of unique characteristics. It has rubber-like elasticity, which distinguishes it from the more common ABS and PLA. It is also resistant to abrasion, and has been shown to perform well even at low temperatures. TPU has generally been used to print products that need to bend or flex during application, such as sporting goods, medical devices, footwear, inflatable rafts, outer cases for mobile devices, and automotive instrument panels. It has also been used for industry applications due to its resistance to oils, greases, and a variety of solvents. In terms of workability, TPU is much easier to handle than TPE. The extremely flexible nature of TPE makes working with it quite problematic especially when using a Bowden extruder. The length of tube between the extruder and the hot end introduces a degree of complication when using a flexible filament, as the filament may contract within the tube as it is pushed by the extruder. By having a firmer build, TPU remedies most of the problems in working with TPE filaments. Layer to layer adhesion of TPU is usually excellent due to its very soft nature. This means that prints made from TPU should come out very durable. How do you work with TPU? We recommend using direct extruders when working with flexible filaments. As already mentioned, the length of pipe that the filament needs to negotiate in a Bowden extruder somewhat complicates the process. It is still possible to work with a Bowden extruder, but extra tuning of the printer’s settings may be necessary to get good results. More recent 3D printers that use Bowden extruders have been designed to reduce the problems encountered with flexible filaments. 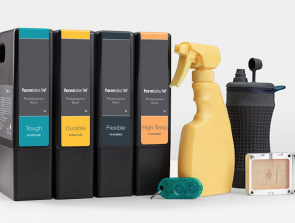 If you are unsure of your printer’s capabilities, it is best to ask the manufacturer if your particular model is approved for use with flexible filaments. For TPE filaments, an extrusion temperature of 200 to 220 °C is recommended. We also recommend using a heated bed platform with a temperature of 80 to 100 °C. TPE has very good adhesion characteristics, so surfaces such as glass or aluminum should not be a problem. For best results, we still recommend using Kaptons Tape or blue painter’s tape. When working with flexible filaments, it is a good idea to print at very low printing speeds. Flexible filaments tend to bend and contract under high stress, so printing fast will likely clog up your extruder. A setting of 15mm/s is recommended, but you may print up to 30 mm/s with satisfactory results. This might depend on the particular model you are using, so you might need to start at a low setting and inch your way up to see what works. Flexible filaments are not particularly prone to warping during printing, so you may use a cooling fan at medium or high setting. This will allow you to retain good detail on your prints, without sagging or messy melting. We still recommend not using a cooling fan on the first two layers to ensure very good bed adhesion. Retractions are sometimes necessary when your design requires the extruder to travel long gaps without printing. However, retractions can be particularly troublesome when using flexible filaments since they can be sensitive to quick movements. We recommend disabling retraction altogether, especially on your first time using flexible filaments. If it cannot be avoided, then you can set a very low retraction speed or minimize the need for retraction in your design. What are the limitations of TPU? The main drawback in using flexible filaments such as TPU is the extra challenge in handling them during printing. As we mentioned, not all 3D printers are equipped to use flexible filaments. Printers that use Bowden extruders are particularly problematic. However, newer models should have already made measures to be more compatible with flexible filaments. The firmer characteristic of TPU should also allow it to have more diverse applications. TPU may also have poor bridging characteristics, leading to prints with multiple blobs and stringing. 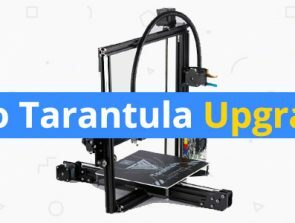 You will need to get the “sweet spot” of the combination of printing temperature, printing speed, and retraction speed to get a good quality print our the flexible TPU. Another drawback in making prints using TPU is that they cannot be finished to get that polished and smooth look. Unlike PLA or ABS, TPU does not dissolve in simple chemicals like acetone. Printing with TPU is very much a case of “what you see is what you get”. What are the best brands of TPU available? Flexible filaments like TPU may cater to a niche market, as it satisfies very specific needs. However, there are very few similar products out there. Manufacturers have long recognized the demand for flexible filaments, and have responded with a great variety of products. 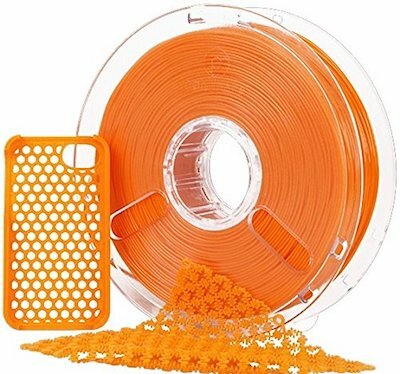 The Ninjaflex TPU line from Ninjatek is probably the most well-known line of TPU filaments today. They are available in both 1.75mm and 3.00mm sizes, and are sold in 0.5kg spools. They have a wide selection of fancy colors (Flamingo, or Radiant Orchid, anyone? ), so you can go wild with your creativity. 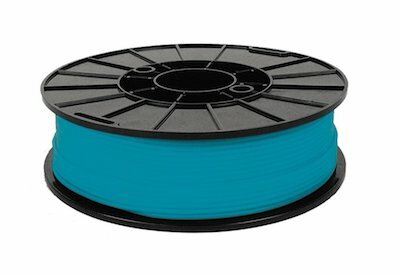 Ninjatek also has another line of TPU filaments. The Cheetah product line was made to improve the user experience in printing using flexible filaments by allowing them to print at faster speeds of up to 60mm/s. 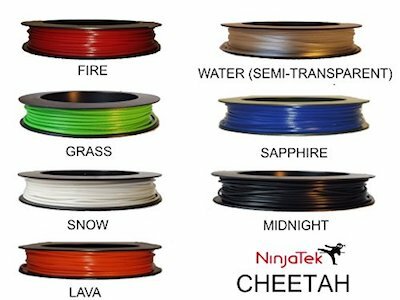 Ninjatek claims that their Cheetah products can be printed using any 3D printer model and at ABS or PLA speeds. If you are unsure if your printer can handle flexible filaments, then the Cheetah product line is your safest bet. The Polyflex line from Polymaker is another well-known line of TPU filament products. They are sold in 1.75mm and 3.00mm sizes, and in 0.75kg spools. There is also a good selection of colors available, although quite limited compared to others. Feedback on this product has been great all around, so you’re not going to go wrong with it. PRILINE has their own line of TPU filaments, sold at 1kg spools of 1.75mm sizes. With a selection of 7 colors to choose from, you can flex those creative muscles as much as you want. PRILINE recommends that you use their TPU filaments with a direct drive extruder, and that you print at lower speeds than normal. 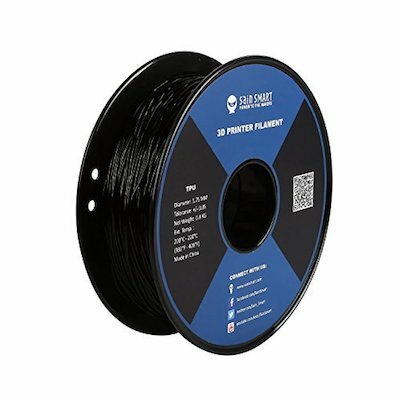 If you’re not quite sure if you will be comfortable printing with flexible filaments, you can do initial trials with the small 250g spools sold by SAINSMART. Their TPU filaments are in 1.75mm sizes, and are available with a small selection of colors. 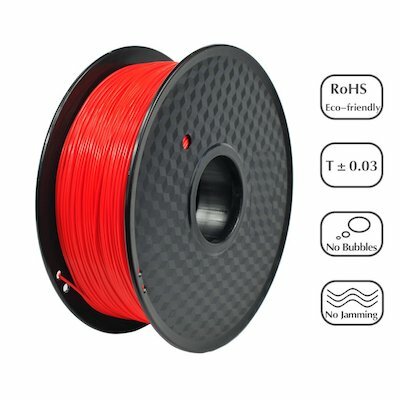 If you are satisfied with their product, you can also buy their TPU filaments in 0.8kg spools. TPU filaments are quite tricky to work with, but they are the best filament products out there if you want to print flexible and highly impact-resistant products. Flexible filaments have not quite caught up yet with mainstream filaments such as PLA or ABS, or even the alternatives such as PETG, for the sole reason that they can be challenging to work with. Fortunately, new 3D printers are being designed to work better with flexible filaments. 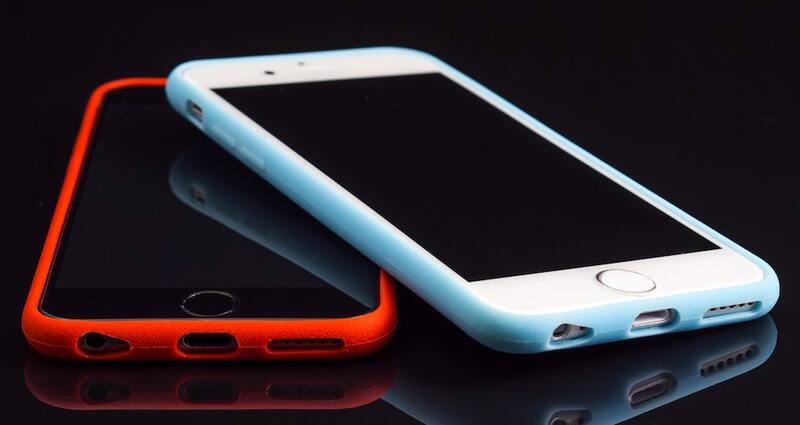 TPU, in itself, already represents an improvement towards making flexible filaments more user-friendly. It is a whole other dimension to 3D printing using plastic filaments, and we hope we have helped you become more open to its exciting opportunities.